This NEW 2019 KZ Connect will be sure to impress! 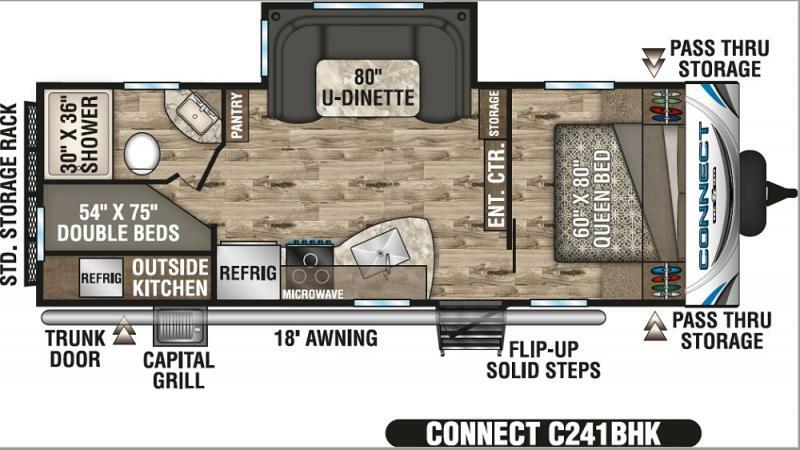 Take a closer look at this C241BHK model with our Travel Trailer Experts in Harmony. 1 slide and sleeping for 8. Sleek exterior and soft stylish interior. Great NEW selection!